We were treated to a fashion show featuring some styled looks — this summer, it’s all about prints! I loved how the styles focused on pattern mixing — not only in the clothes, but in the shoes as well! And clean black and white looks are definitely in! These looks featured pops of pink — perfect for summer! I fell instantly in love with that Maxi dress. I loved the way it flowed when Veda walked down the runway! These outfits were all about taking casual sporty looks to a whole new level. That white jacket looks perfect paired with the shorts, and I love how they dressed up the outfit with some stylish heels. So fun! Here are those clean black and white looks we were talking about earlier! I love the way these looks are paired with different patterns — opposites DO attract! 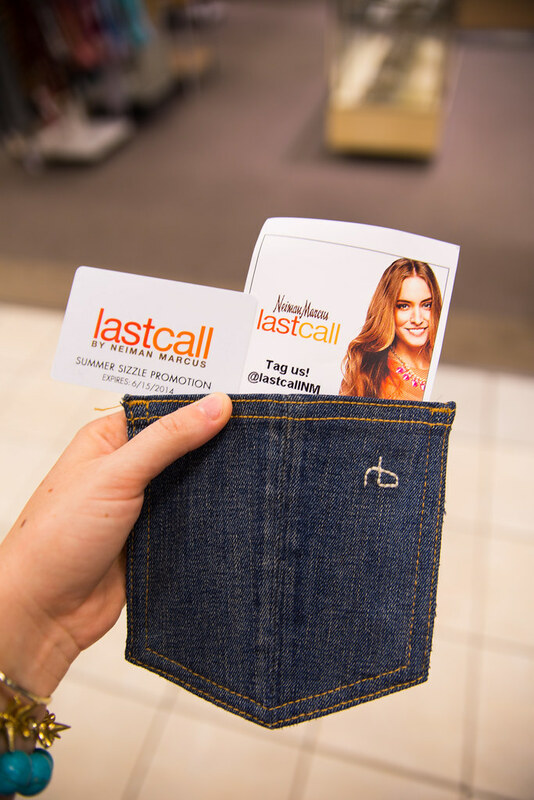 After the fashion show, we were treated to a shopping experience of our own! I was impressed with the affordable prices in the store — there were lots of sales going on, even on designer brands! 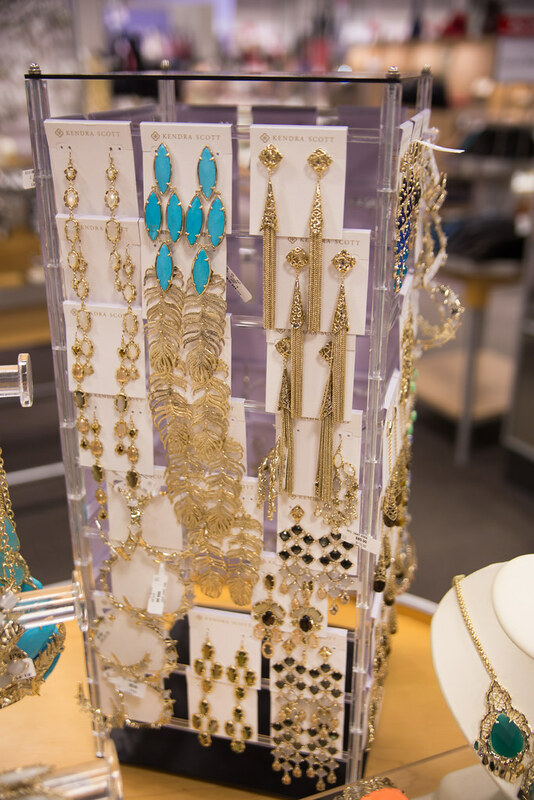 I was instantly drawn to the Kendra Scott jewelry display, and picked up a pair of gorgeous earrings. I can’t wait to style them with my other Kendra Scott jewels and my Kluster Jewelry bracelets! What summer trends are you dying to try? You looked SO adorable that night! 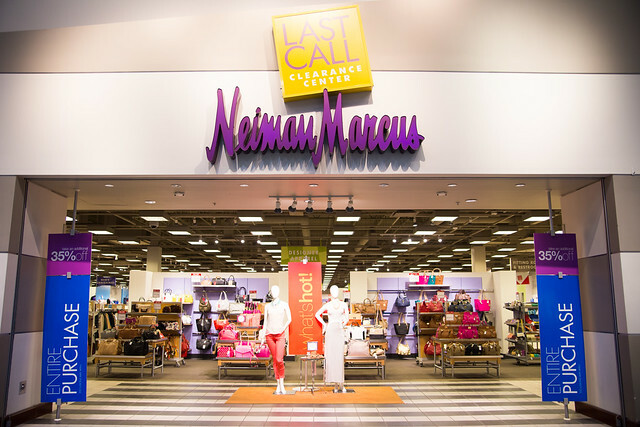 I have to say, I was really impressed at how many private label clothes they had at Last Call by Neiman Marcus. I loved the Hot in Pink look for sure! Those earrings you snatched up are SO cute. Love that printed maxi and I need all the jewelry. Glad to see two of my favorite summer fashions…maxi dresses and turquoise-colored jewelry! I swear they never get old. Love those earrings, they remind me of the ocean! I’ve always been a fan of the black and white look, it’s just so clean and classic. 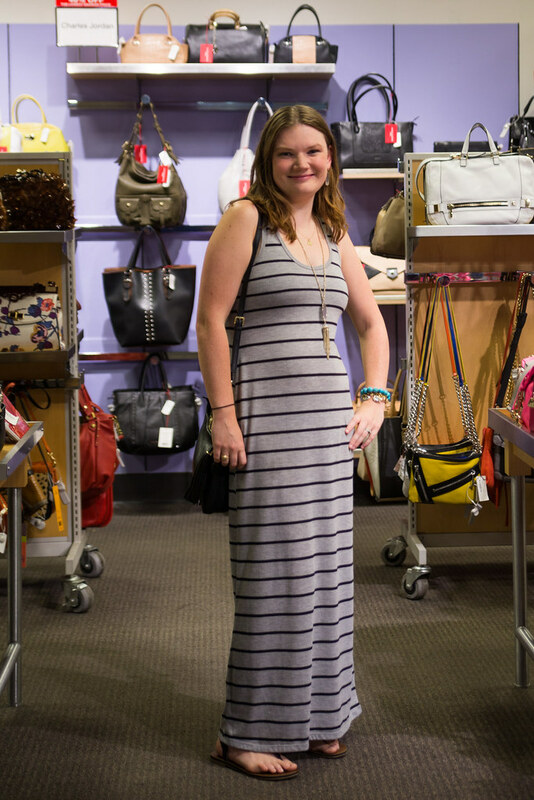 This was such a fun event to attend…..and I fell in love with the maxi dress! Love love those earrings! They would look so pretty with a summer maxi dress.